A well researched look at the fascinating history of the "other" Norman conquest, from the initial influx of the Normans as mercenaries, through the rise of the de Hautvilles, to the eventual founding of the Kingdom of Sicily. Some of the periods covered are not well documented in history, and certainly not very well known, and few of the primary or even secondary sources covering the period have never been translated into English. 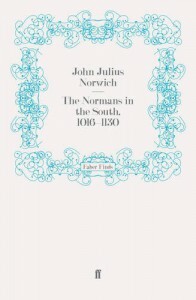 This work by the eminent historian John Julius Norwich is an excellent work for anyone interested in the remarkable, if not always particularly likeable, people who made South Italy their home and forged it into something great.